The happiest Hebrew School is right here in Temecula. Inspiring Jewish pride & values. Learning is fun! If you're looking for a friendly Hebrew school where kids love to come and get authentic Jewish education, you've found it. Our hands-on method of teaching keeps kids engaged and excited to come. Check out our calendar with scheduled trips to farms & orchards, shofar factory (kids can make real shofars) & Menorah building field trip to Home Depot! Enjoy browsing through our website for more info on Hebrew School & Chabad of Temecula. We meet (almost) every Sunday from 10 AM - 12:30 PM at Chabad. We learn to read Hebrew, pray, sing, and learn about our heritage in the most engaging way! We also go on lots a field trips. 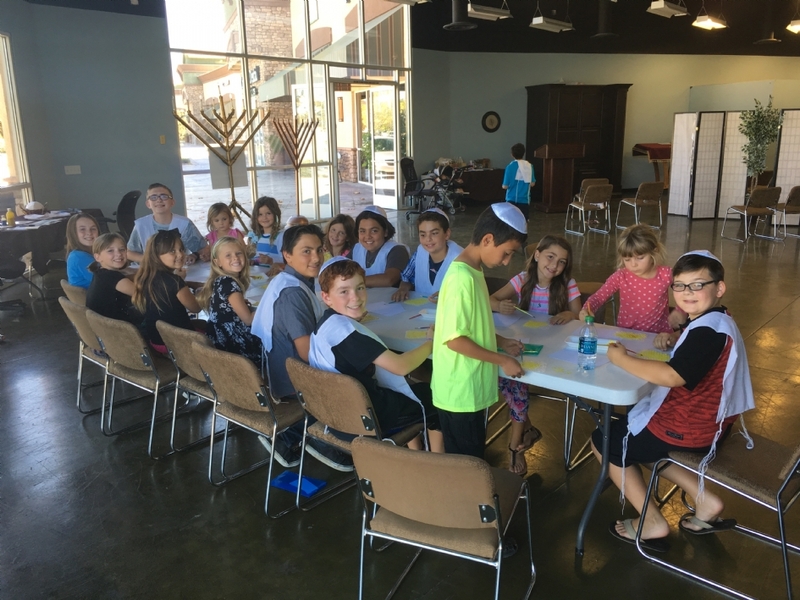 Whether you are practicing Judaism at home, interested in learning more, or kind of new to the whole idea of Judaism, Chabad Hebrew school is the place for you. The kids come home happy & eager to share what they've learned with their families.